Only 1% of Scotland’s ancient Caledonian Forest remains. It exists in 32 fragments scattered across the Highlands. Throughout history, the impact of climate change, warfare and industrialisation have all significantly contributed to its depletion. The need for timber to fuel the war effort during World War 1 is accredited to being the most recent event that devastated the native forests. Today, another issue is prevalent. A growing deer population in the Highlands inhibits the regrowth of the forests through strenuous over-grazing. It is argued that commercial hunting lodges have dramatically increased these deer numbers and the dwindling forests cannot support them. Influenced by the notion of the seed bank, I have created photographic portraits of the next generation of native trees which will be individually planted by hand in the remaining remnants of the ancient forests by the charity Trees for Life. 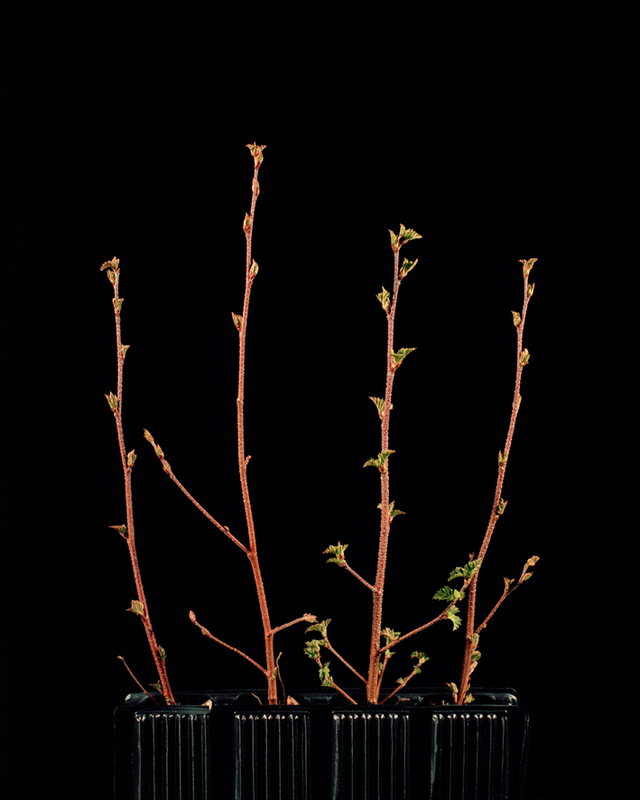 In each photograph, the 4 saplings encased in a root trainer, are physically removed from the tree nursery in which they are meticulously cared for and placed in isolation to indicate their vulnerability and preciousness. 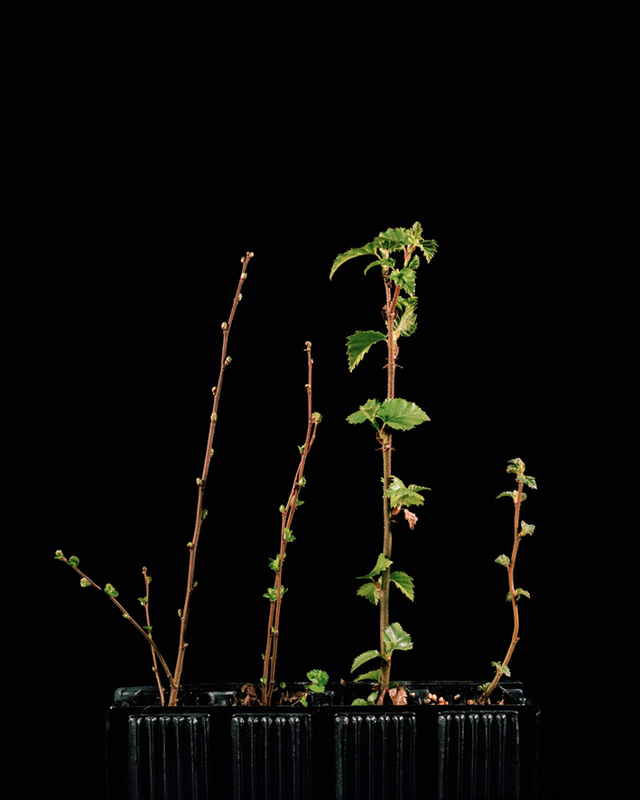 These saplings are not expected to survive until old age, but instead act as seed vessels to allow for the natural continuation of the forests.